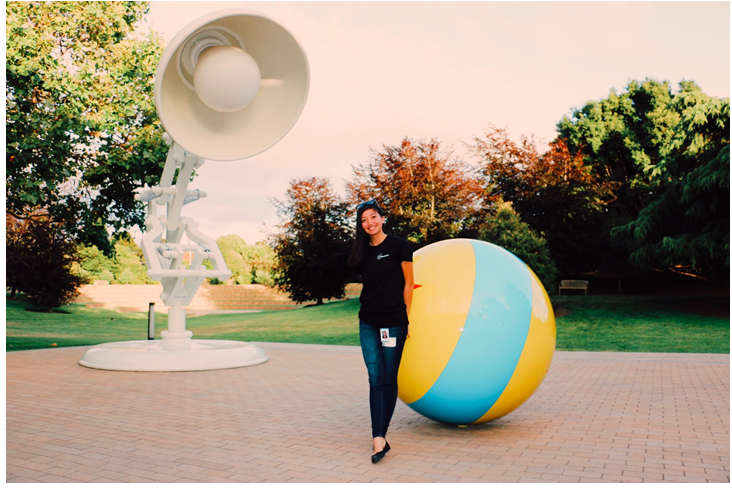 Junior Sabrina Stone is one of 20 girls who participated in Pixar Animation Studios’ Girls Who Code Summer Immersion Program during the summer of 2017. At the time Stone discovered this program, she had no prior experience with coding. However, after she was persuaded by her friend, junior Yuval Karoly, to join GWC where Stone began to computer programming. The GWC Summer Immersion Program took place between June 26 to Aug. 11. classes were held on weekdays from 9 a.m. to 4 p.m.
“The program was entirely free, except it did not provide housing. For the seven weeks, I lived in an apartment directly across the street from Cal Berkeley’s campus [since the studio was 12 minutes from the school], so I got to tour the school plenty,” Stone wrote. According to GWC, girls have the opportunity to choose companies such as General Electric, Facebook and Goldman Sachs to host their Summer Immersion Program. Stone chose Walt Disney Studios and Pixar as her two hosts on the Program application. At Pixar, Stone learned about a variety of computer science topics and engaged in activities which included building websites, making programming filters for images and manipulating Arduino platform for developing software and hardware robots. During the last week of the program, participants sorted themselves into groups for a final project where they were allowed to code an independent project. Stone toured Pixar Studios, travelled to Dolby Laboratories and connected with Pixar executives. Stone recommends the program to rising upperclassmen, stating that computer science will play an increasingly important role in future job markets. “[Coding is] a big thing to learn in this generation, and I think GWC really does an amazing job making it exciting and interesting,” Stone wrote. After completing the program, Stone founded a GWC Club at Oak Park High School, where she will lead the meetings as president starting second semester. “I really want to encourage girls to come and not only learn how to code in fun and engaging ways but also to find out more about the GWC organization,” Stone wrote. According to the GWC organization, the program will have reached more than 50,000 girls with their after-school clubs by the end of the 2017-18 academic year. When not leading her club, Stone plans for her future in coding. “I hope to return to Pixar Animation Studios as an employee one day and use code for animating movies,” Stone wrote.